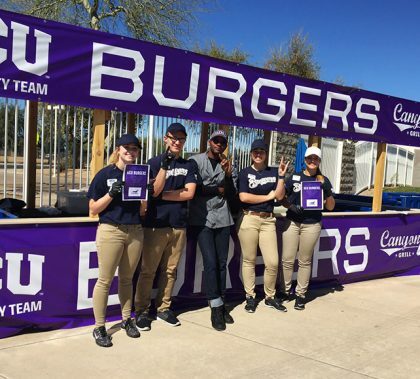 New to Milwaukee Brewers spring training games this year are a Canyon 49 Grill food stand and GCU student workers spread around Maryvale Baseball Park, the result of a partnership between GCU and the team. “It’s a great way to show the high energy and unadulterated fun that GCU represents,” prep cook Henry Hurd said as he flipped BBQ burgers at the Brewers’ newest concession stand. 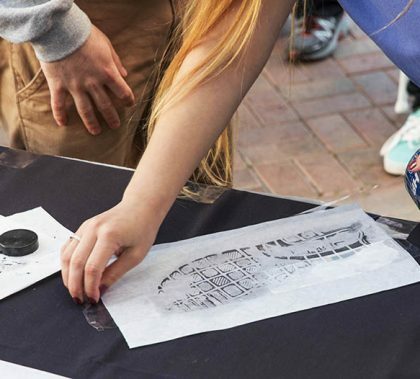 Nearly 1,500 students from 83 high schools across Arizona learned about crime scene evidence, toured DNA and cadaver labs and listened to forensic experts speak during Grand Canyon University’s annual Forensic Science Day. They also got to take a crack at solving a “murder” set up for their benefit. 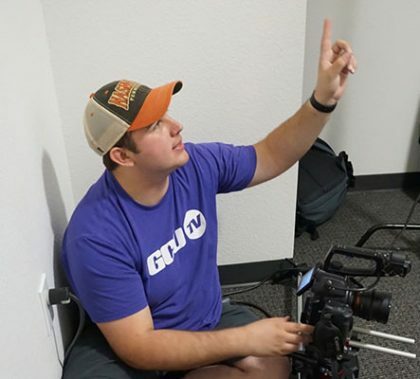 Shooting a video of Jace Hyduchak, race starter for the GCU Foundation Run to Fight Children’s Cancer on Saturday morning, was a labor of love for GCU Digital Film major Tyler McDonald, and it showed. 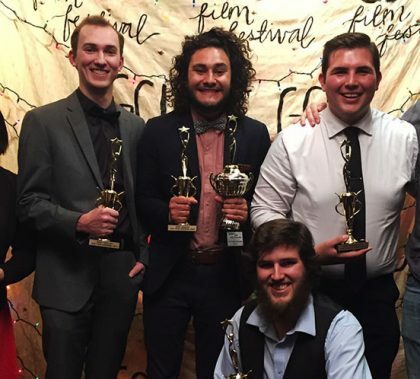 It won Best Documentary on Sunday in the GCU Film Festival. 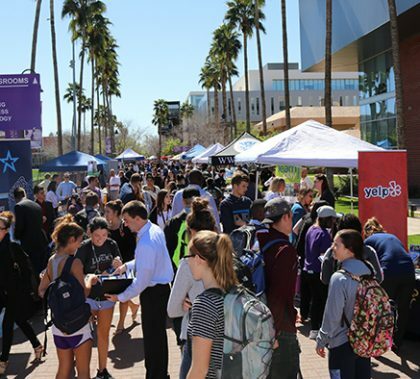 Collegiate DECA of GCU students came through with another strong showing recently in the recent Arizona Career Development Conference at Arizona State University. 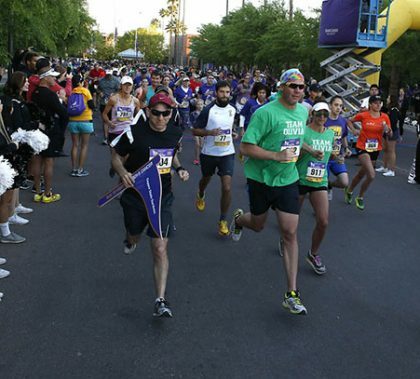 Three GCU representatives finished first, and a total of 12 of the 18 who entered earned the right to attend the International Career Development Conference next month in Anaheim, Calif.
There’s a lot of community spirit at the GCU Foundation Run to Fight Children’s Cancer, but there also are a lot of teams within the community — teams united behind someone who has battled the disease or just people devoted to the cause. GCU Today talked to three of those teams to find out more about why they do it. 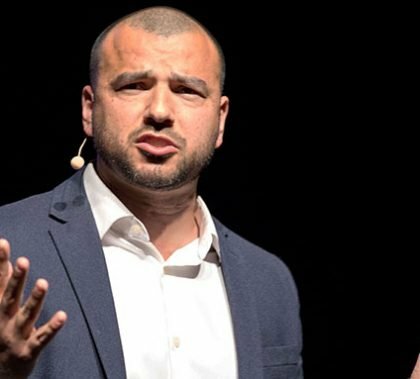 Noe Garcia isn’t the first Chapel speaker at Grand Canyon University to share tales of missteps and woe from his past, but the North Phoenix Baptist Church pastor had a uniquely engaging way of putting his message in perspective. “I could not date sin and expect to be intimate with God,” he said. “Ralph Finds His Place In The Universe,” a futuristic film by Elliott de Neve featuring a world with alternative selves, won Best of Festival in the GCU 2017 Film Festival. Nearly 30 videos were nominated in eight categories. “2017 Racestarter Jace Hydachuak,” by Tyler McDonald, is a poignant story from despair to hope about a six-year-old boy’s battle against cancer. 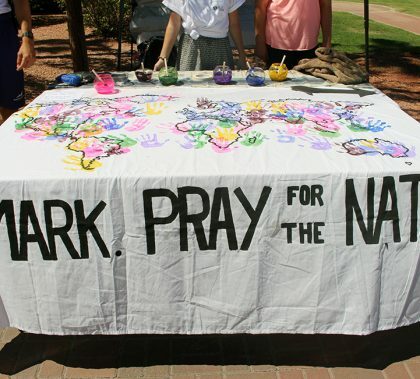 Prayer 120, which seeks to provide students basic instructions to pray for a solid 120 hours and to lead them into prayer as a community, begins today on campus. The week will include something new — a neighborhood prayer walk Thursday night. If you were walking around campus at lunchtime Thursday, you couldn’t miss all the commotion on the Promenade. The annual job fair, the highlight of Career Week, had more companies on campus than ever — 200 of them. Grand Canyon University’s continuing transformation of west Phoenix is the focus of the March 2017 issue of GCU Magazine. It has complete coverage of the mid-February press conference at the new commercial development featuring Arizona Gov. Doug Ducey, Phoenix Mayor Greg Stanton and other dignitaries, and it includes stories on two other programs that use the 27th Avenue complex as their base — hospitality and online learning. 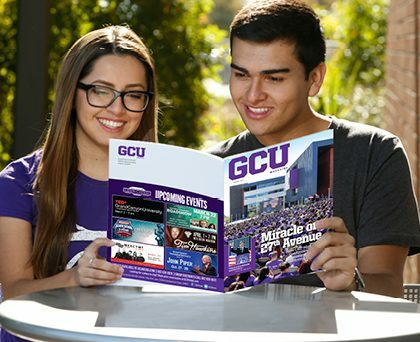 There also are reports on what the expanding sports facilities mean for intramurals as well as the athletic teams, how the money raised by the GCU Foundation Run to Fight Children’s Cancer enabled Phoenix Children’s Hospital to hire a part-time therapist and what the GCU Alumni Hall of Fame meant to the five inductees in the Class of 2017. To view the digital version of the magazine, click here.